The 2017 Breyer Line Up has landed at our distributor and they are racing (okay walking…) our way via a very large freight box. We are very excited to receive these horses. 2017 looks to be a great year for Breyers! We are still waiting for confirmation of which horses are on the way and I will update this post when I have more information. 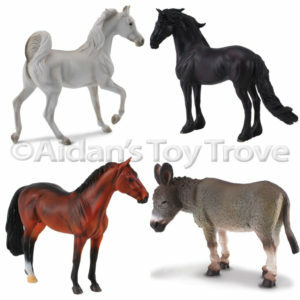 Aside from the 2017 Breyer Traditionals and the 2017 Breyer Classics, we have a herd of Corral Pals coming as well. 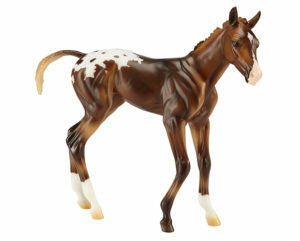 We still have some 2017 Breyer Presales available. Thank you to everyone that has already secured an order through us. Our distributor confirmed that our entire order was shipped and all of the 2017 Breyers we have listed will soon be in hand. 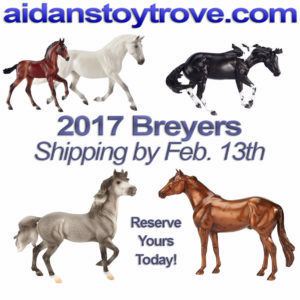 We expect to have the 2017 Breyer Horses in hand no later than February 13th and quite likely sooner. Please note that your entire order will be held for shipment if you order a Presale along with any in stock horse on the same order. Your entire order will ship as soon as the 2017 Breyers arrive here. We will be vending at BreyerWest in March and will be offering free pickup to attendees.